Taking off somewhere soon? Activate your Velocity Global Wallet® card, load it up and use it overseas on eligible spend and enter a daily draw to win 10x your purchase in Velocity Points up to 10,000 Points daily. The more you swipe, the better your chances of winning. Plus, if you’re new to Global Wallet®, enter the promo code (WINX10) during account activation and receive 500 bonus Velocity Points* when you spend AU$100 or more on overseas purchases during the promotion period. Your holiday just got sweeter. Ends 31 Jan 2019. *The Promotion commences at 00:01 am AEDT on 1 December 2018 and ends at 11:59pm AEDT on 31 January 2019 (Promotion Period). Entry is open to Velocity Frequent Flyer members aged 18 years and over. Entrants will be automatically entered into the Promotion when they spend internationally on a Qualifying Purchase using their Global Wallet® card during the Promotion Period. Entrants will receive 1 entry every time they make a Qualifying Purchase with merchants located outside of Australia during the Promotion Period. Entrants who have never activated their Global Wallet® account as at the commencement of the Promotion Period, and enter the Campaign promotional code (WINX10) during the Global Wallet® account activation process, will receive a once off 500 bonus Velocity Frequent Flyer Points when they complete one or more Qualifying Purchases with a total minimum value of AU$100 (equivalent) with a merchant located outside of Australia, during the Promotion Period. 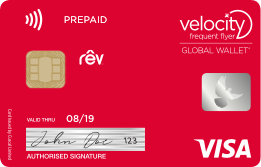 Entrants who have activated their Global Wallet® account but have never loaded any funds onto their Global Wallet® nor made a Qualifying Purchase using their Global Wallet® card as at the commencement of the Promotion Period, will receive a once off 500 bonus Velocity Frequent Flyer Points when they complete one or more Qualifying Purchases with a total minimum value of AU$100 (equivalent) with a merchant located outside of Australia, during the Promotion Period. Qualifying Purchases exclude ATM withdrawals, quasi cash transactions (e.g. money orders, travellers’ cheques and foreign currencies in cash), payments made to the Australian Taxation Office or other national or local Australian tax authorities, fees and charges, account adjustments, reversed transactions, gambling transactions and business transactions. See the Product Disclosure Statement for more information on Qualifying Purchases. If you enter the Promotion but no longer wish to participate, please email your request to Globalwalletswipeandwinoptout@velocityfrequentflyer.com and you will be removed from the Promotion. There will be a total of 10 weekly draws during the Promotion Period (i.e. for each Monday-Sunday during the Promotion Period). The winners for Weeks 1 and 2 draws will be drawn at 3:00pm AEDT 19 December 2018, at Anisimoff Legal, Suite 5, Erina Plaza, 210 Central Coast Highway, Erina, NSW 2250. A draw will then be conducted at 3:00pm AEDT weekly from 14 January 2019 up until 20 February 2019 to determine the winners of Weeks 3, 4, 5, 6, 7, 8, 9 and 10. Each winner will be notified after 10:00am AEDT 2 business days after the relevant draw has occurred directly by phone or email. Each winner will receive a prize of 10 times the value of the daily winner’s Qualifying Purchase in Velocity Frequent Flyer Points, up to a maximum of 10,000 Velocity Points in total per daily prize. There are 62 prizes to be won in total. The Points will be credited to the relevant winner’s Velocity account within 6 weeks of the relevant draw. The 500 bonus Velocity Frequent Flyer Points for first international transaction (i.e. WINX10 campaign code) will be allocated to your Velocity account no earlier than the first day of the month that is at least 30 days after the Promotion Period end date. Use of Velocity Points is subject to the Membership Terms and Conditions, located at https://www.velocityfrequentflyer.com/content/TermsConditions/. View full T&Cs http://www.velocityglobalwallet.com/SwipeandWin. Authorised under permit numbers NSW Permit No. LTPS/18/30031, ACT Permit No. TP18/02311, SA Permit No. T18/2093. Velocity Rewards Pty Ltd ACN 116 089 448 acts as authorised representative of Rêv Australia Pty Ltd ACN 117 378 953 AFSL 401610. 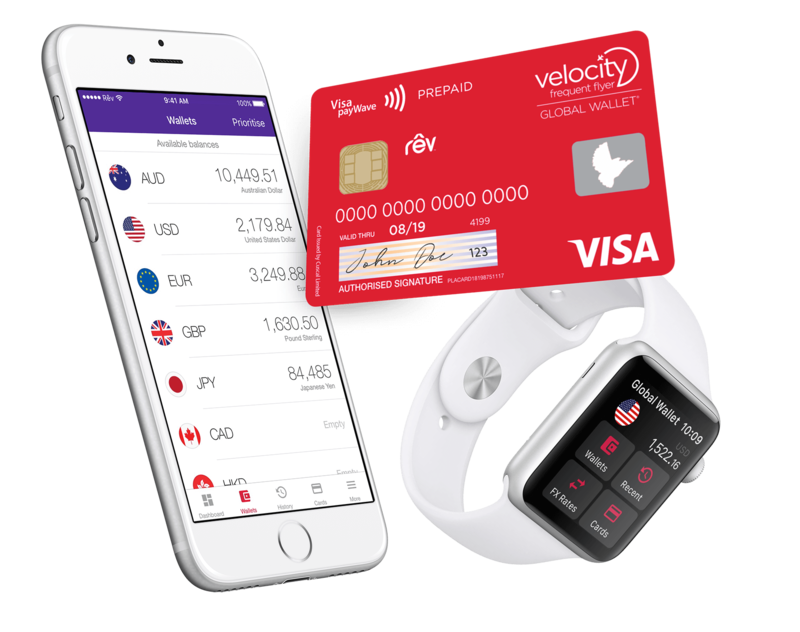 Rêv Australia Pty Ltd is the distributor and manages the Velocity Global Wallet® Visa Prepaid product for Cuscal Ltd ACN 087 822 455 AFSL 244116. Cuscal Ltd is the issuer of the product. Any advice is general advice that does not take account of your objectives, financial situation or needs. Read the Product Disclosure Statement before making a decision and consider whether the product is right for you. 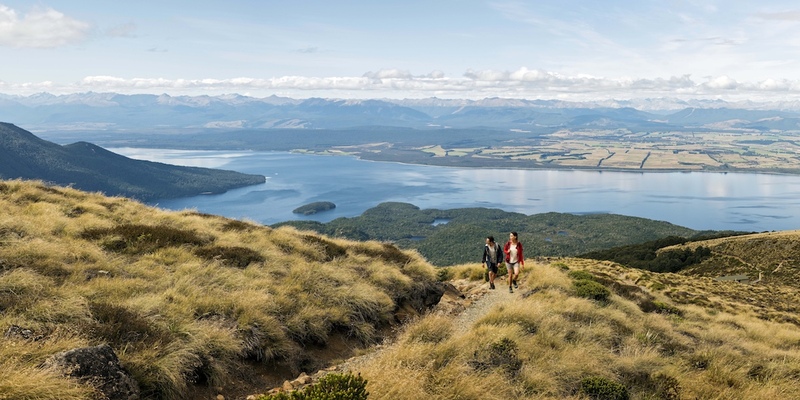 The product is available only to Australian resident Velocity Frequent Flyer members.